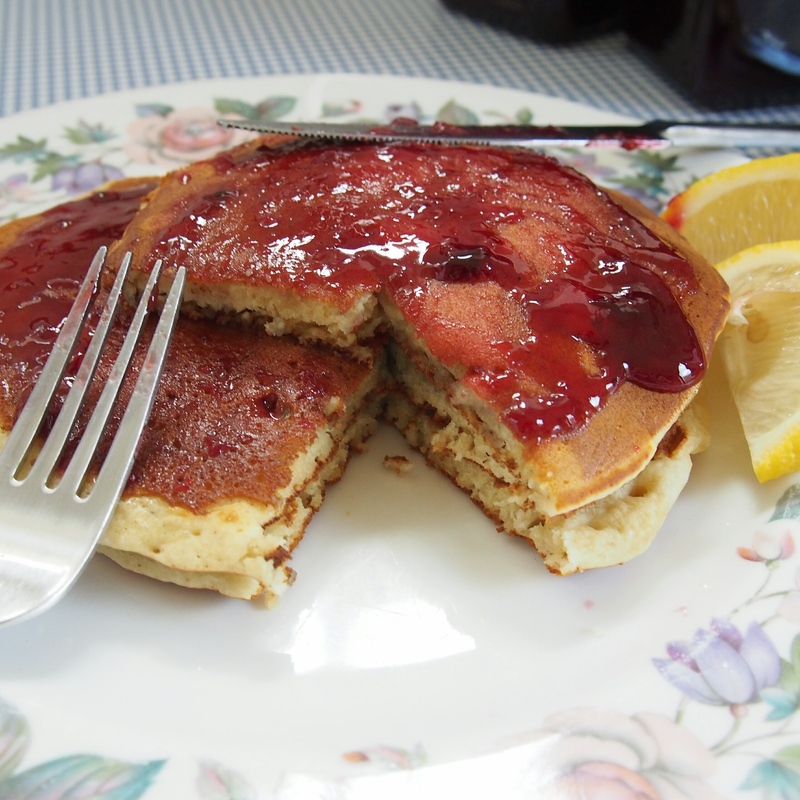 This pancake recipe is one I have been refining for about 3 years and finally think it’s time to share it. Its gone from the batter being to thin, to them falling apart when they are being cooked etc. I’m pretty satisfied with this recipe now. They hold their shape, the batter is easy to handle, as well as using agave instead of refined sugar and coconut oil as a healthy fat alternative. I would recommend using soya milk or almond milk for these, as I have found rice milk doesn’t work so well. I like to eat these with jam, such as homemade damson jam, or just with lemon juice and syrup. You can also easily throw in a handful of blueberries or chocolate chips into this batter. Sift the flour and baking powder into a mixing bowl, then whisk in the remaining ingredients until you have a smooth batter. Heat a non stick frying pan on a medium heat. You don’t need to add any oil as the batter already contains oil. 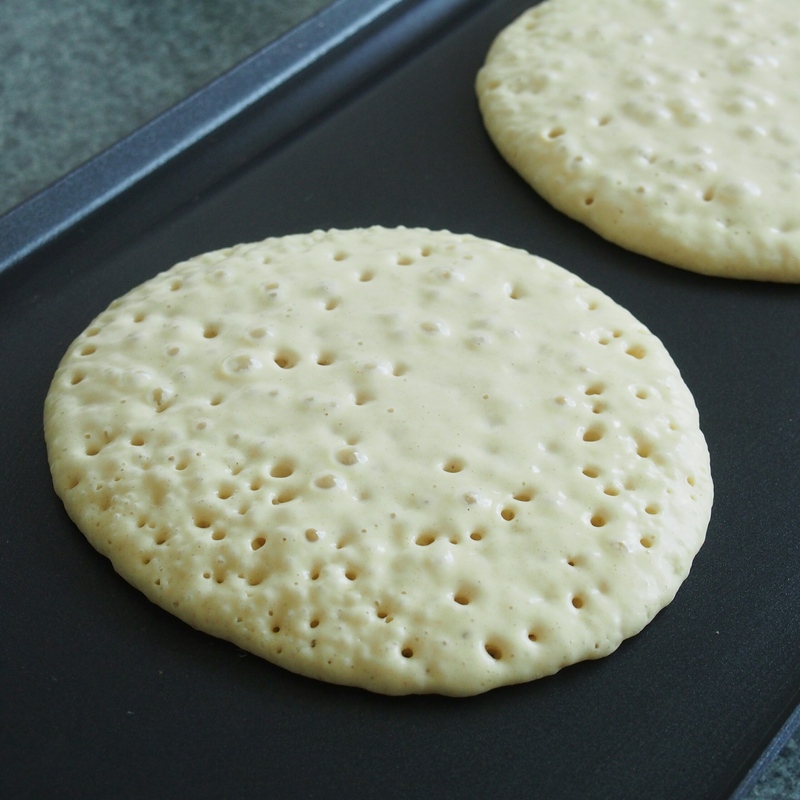 Using either a ¼ to ¹⁄³ cup measure, pour out batter into the heated frying pan into a 6 inch circle and cook. 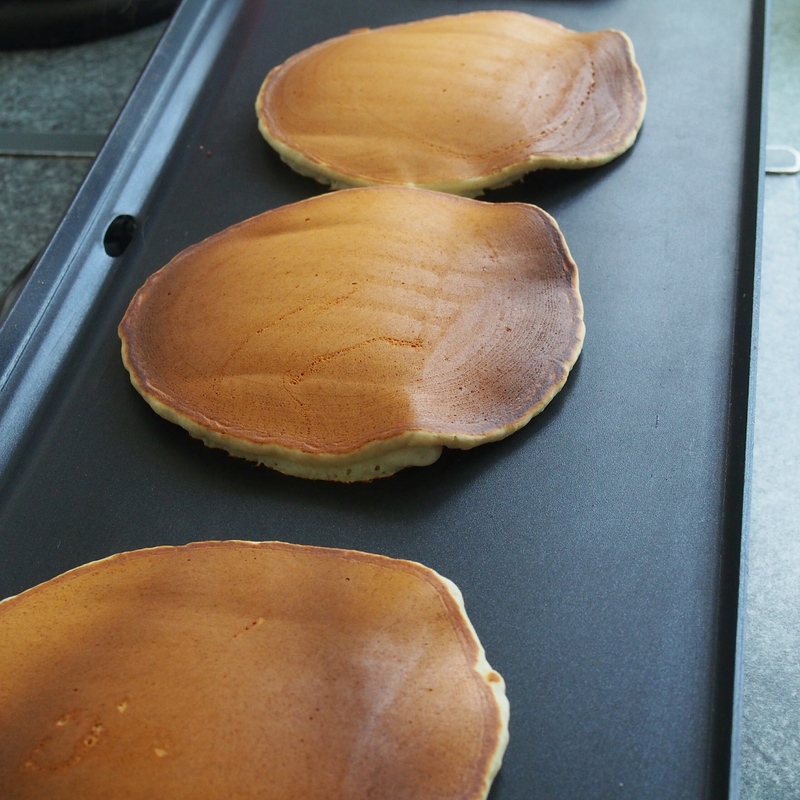 Once the top of the pancake is starting to dry out, and the bottom has turned a nice golden brown, flip and brown the other side. Repeat until all the batter is used up. 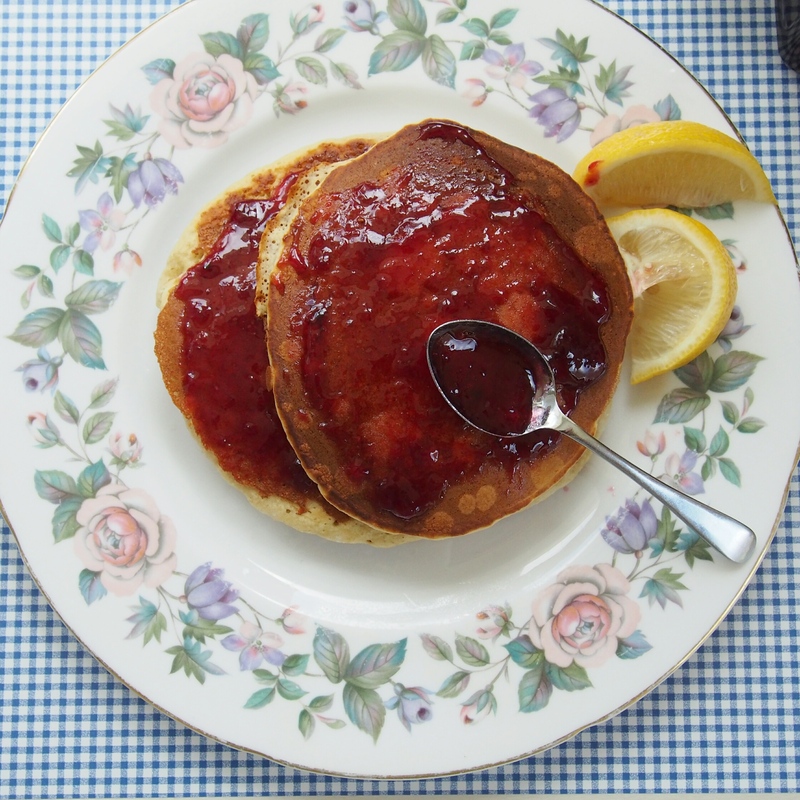 Serve straight away with lemon wedges, syrup, your favourite jam etc. These look super delicious. I can’t wait to make them. This looks yummy! So wish I can have one right now!